Do you own your body? Advances in science and the development of genetic databases have added an aura of modern controversy to this long-standing and, as yet, unresolved problem. In particular, English law governing separated human tissue (including organs, DNA and cell-lines) is unsatisfactory. Despite the enactment of the Human Tissue Act 2004 UK, it remains uncertain what property rights living persons can claim over tissue separated from their bodies. The development of clear legal principles is necessary to protect the rights of individuals while also enabling the efficient use of such materials in medical research. Part I of Law and the Human Body traces the evolution of English, Australian, United States and Canadian law in relation to human tissue separated from living persons and dead bodies. This includes a comprehensive examination of the Human Tissue Act 2004 UK as well as prominent judicial decisions, including Re Organ Retention Group Litigation  QB 506, Colavito v New York Organ Donor Network Inc 8 NY 3d 43 (NY CA 2006) and Washington University v Catalona 490 F 3d 667 (8th Cir 2007). 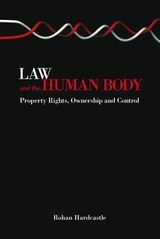 Analysis demonstrates that, although property rights and non-proprietary interests in separated human tissue are recognised in limited circumstances, no principled basis has been accepted either at common law or by statute for the recognition of these rights and interests. 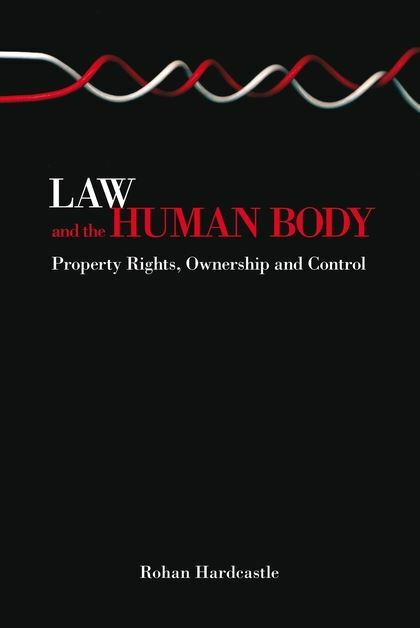 Part II of this book develops and defends a principled basis in English law for the creation and legal recognition of property rights and non-proprietary interests in separated human tissue. Significantly, the analysis and principles presented in Law and the Human Body have application across common law and civil law jurisdictions worldwide.